The 55+ Council of the National Association of Home Builders (www.nahb.org) honored The Springs of Mill Lakes (www.thespringsofmilllakes.com), Auburn/Opelika’s bucolic master-planned community for 55+ active adults, with four Gold and four Silver Awards at its annual 55+ Housing Awards Jan. 9, 2018. The Best of 55+ Housing Awards are the industry’s only national awards program honoring excellence in building design, marketing and lifestyles in housing for the mature adult. The awards serve as a showcase for quality housing, innovation and emerging trends that appeal to the 55 and above demographic. The awards were presented at the International Builders Show in Orlando, Florida. The Springs of Mill Lakes includes 134 single-family custom homes specifically designed to appeal to the active 55+ homeowner. The 80-acre community is bordered on the west by a perpetually protected wildlife sanctuary, and encompasses two 3.5-acre mature lakes, a wandering creek and waterfalls. The resort-style amenities include a zero-entry pool, pickleball court, event lawn and Clubhouse with a fitness center, catering kitchen and ballroom dance floor. Homeowners enjoy the best of both worlds: a peaceful natural setting just minutes away from Auburn and Opelika’s shopping and dining districts, as well as excellent medical facilities and Auburn University. 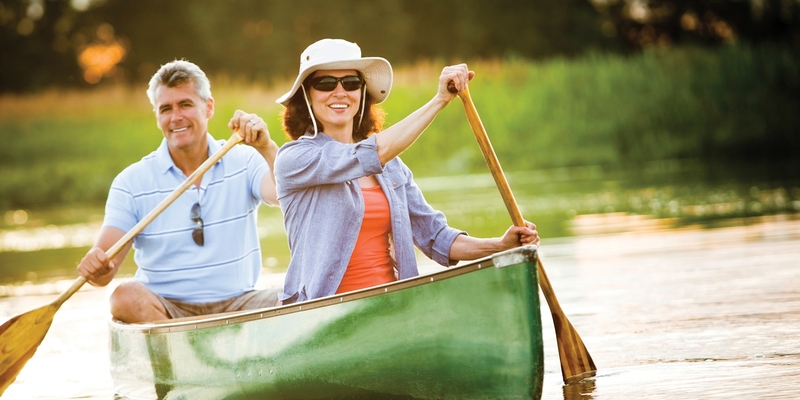 Best 55+ Outdoor Lifestyle Amenity – At The Springs of Mill Lakes, it’s all about the water. Natural springs feed two mature lakes, and a meandering creek and its waterfalls create soothing sounds. Nature trails encourage exploration. The bass-stocked fishing lake is perfect for anglers, while canoeing, kayaking and paddle boating enthusiasts will find numerous options at the recreation lake. A zero-entry crystal pool is perched on a bluff overlooking both lakes, providing the perfect location for social activities, swimming and relaxation. Best 55+ Integrated Marketing Strategy or Campaign – Atlanta-based Gilbert & Sheppard Group was honored for its comprehensive marketing campaign for The Springs of Mill Lakes. The full-service marketing and advertising firm primarily works with 55+ residential developers and builders to promote their communities and companies. Best 55+ Print Ad – Atlanta-based Gilbert & Sheppard Group was honored for its print advertising campaign for The Springs of Mill Lakes. The full-service marketing and advertising firm primarily works with 55+ residential developers and builders to promote their communities and companies. Best 55+ Project Website – Atlanta-based Gilbert & Sheppard Group was honored for creating and managing the attractive and informative website for The Springs of Mill Lakes. The full-service marketing and advertising firm primarily works with 55+ residential developers and builders to promote their communities and companies. Best 55+ For Sale Community up to 200 Homes – The Springs of Mill Lakes, a thriving up-and-coming development by Alabama native Allen C. Harris, founder of Chapman H LLC, includes 134 single-family homes, resort-style amenities and Opelika’s premier independent living and assisted living destination in an 80-acre natural setting, just minutes from Auburn, Alabama. The community is bordered on the west by a 45-acre perpetually protected wildlife sanctuary filled with hardwoods, woodland animals and birds, a meandering creek and petite waterfalls. Best 55+ Indoor Common or Amenity Space – The Clubhouse at The Springs of Mill Lakes is the central gathering spot for residents and guests, offering a large lounge with fireplace, catering kitchen, fitness center, meeting/flex room and a floor for ballroom dancing. Best 55+ Landscape – The common areas of The Springs of Mill Lakes are beautifully landscaped, while the natural areas of the beautiful 80-acre community are meticulously maintained. The property features two 3.5-acre lakes, a meandering creek and waterfalls with natural walking trails throughout the site. Best Universal Design Home for 55+ New Construction – And the silver award goes to builder, Homeworks of Alabama for their model home, the Dorset. Our builders, Homeworks of Alabama and Harris Doyle Homes are creating charming, thoughtfully-designed homes for The Springs of Mill Lakes. The beautiful cottage-style floor plans include numerous universal design features to help homeowners of all ability levels age in place and maintain their independence. The acclaimed 55+ community was designed with nature lovers in mind. While much of the site’s 80 acres are professionally landscaped, a significant portion of the property has been designated as a perpetually protected wildlife sanctuary filled with hardwoods, woodland animals and birds, a meandering creek and petite waterfalls. A bass-stocked lake offers fishing, while a second lake is available for kayaking, canoeing and paddle boating. The Clubhouse features a large gathering lounge with fireplace, a catering kitchen, fitness center and more, while resort-style amenities include a zero-entry pool, pickleball court and event lawn. Nature trails throughout the community provide peaceful opportunities to commune with the outdoors, and nearby Opelika and Auburn offer dining, shopping and all the energy of a college town. In fact, Forbes Magazine named the area “One of the 25 Best Places to Retire in America”. In addition to the 134 single-level detached homes, The Springs of Mill Lakes includes The Lodge at Mill Lakes, Opelika’s premier independent living and assisted living destination, with wellness and support services. The East Alabama Medical Center is located less than a mile from The Springs of Mill Lakes and is a convenient resource for exceptional medical care. The community is a development by Alabama native Allen C. Harris, founder of Chapman H LLC. For more information, call (334) 454-4504, or visit www.thespringsofmilllakes.com.